This is a 17th. century English triple reed pewter charger 17" in diameter, made by Henry Nicholls who was "free" in London in 1684. This and other 17th and 18th. 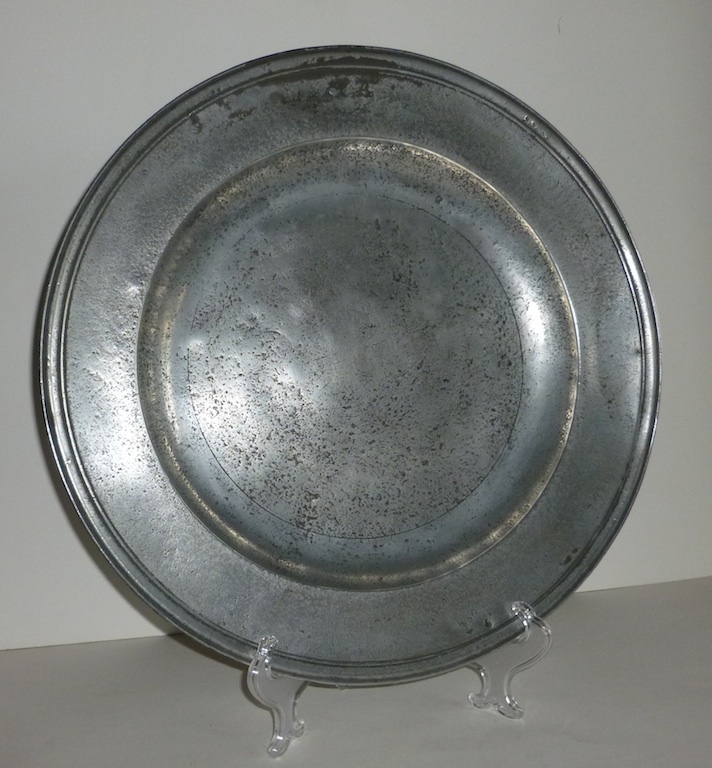 century pewter and delft will be in our booth at the next Christie Antique Show in Sept., hope to see you there.